A guide on how to play Cast Out To Sea, a Classic Kingdom game in Kingdom Hearts 3. Also included are the controls for the mini game. 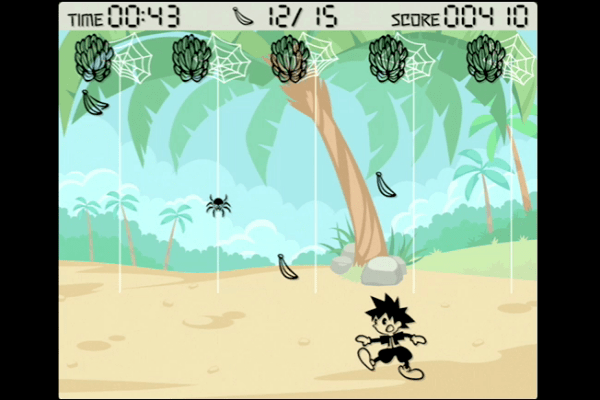 In this mini-game, Sora has to collect bananas falling from trees to get points. However, you must avoid getting hit by the spiders dangling from their webs. Also, you must not let the bananas fall to the ground, as Sora’s score will deplete. If you collect a banana, the time limit will increase, but if a banana drops to the ground, the time limit will decrease.